Soooo...about last last week....I ran into a thunderstorm called Sivamani. The amazing percussionist graced us with his presence and spent one on one time with all the band members. I had the good fortune to eat food cooked by his own hand and also feed him some humble food of my own. 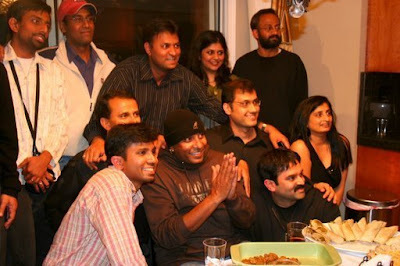 Kind man, kind heart, humble celebrity and luminous inspiration; Sivamani has changed all our lives. God bless him and keep his star forever shining.